When I was younger I was wary of anything green. Vegetables could be lurking anywhere. Tricolor pasta annoyed the snot out of me. Why would you mess with something so wonderfully veggie free as pasta?? My mom swore up and down that the other colors tasted the same as the white but we had to agree to disagree on that one. I usually just picked around the bad ones. Oh how my younger self would have shuddered in horror at the things I eat now. I'm always trying to squeeze more fruits and veggies into our meals and spinach pasta is a great way to do that. My kids love it and, as it turns out, it really does just taste like regular pasta. Who knew? 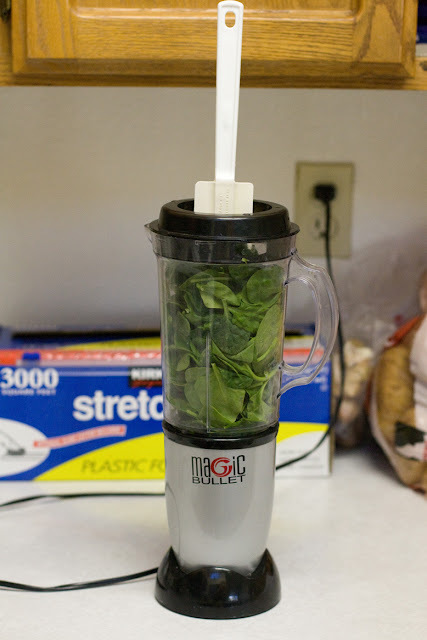 The hard part of this recipe is getting the spinach and egg to blend. I use the time honored and super safe "push down with a kitchen implement" method. Just be careful because once it finally catches it likes to explode upward. 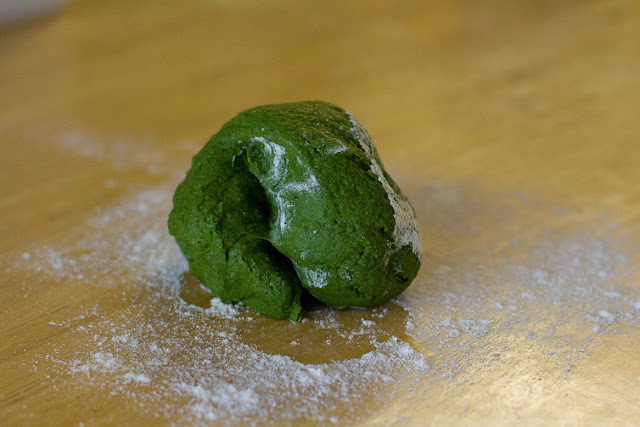 I painted our kitchen cabinets green once with this recipe. The directions I give are for the dough cycle on a bread maker (my BFF). For non bread-maker directions, please visit the original recipe. 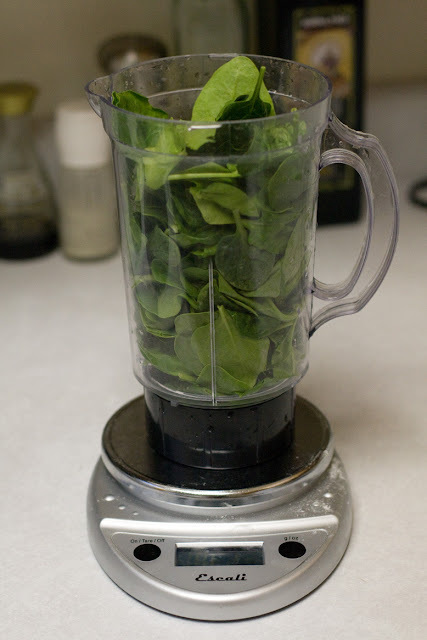 Blend spinach and egg together thoroughly. Put flour and spinach/egg mixture into bread maker and turn on dough cycle. 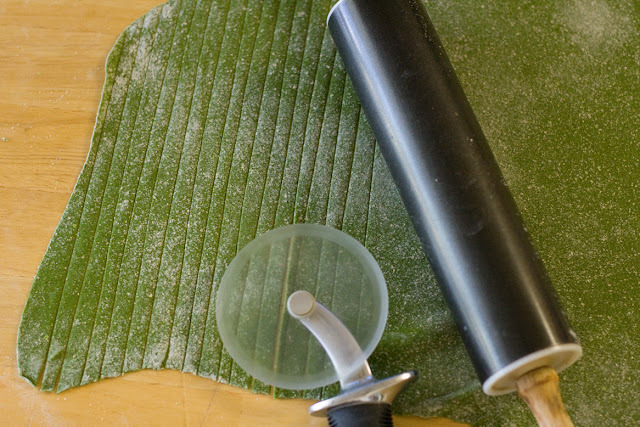 Roll out, cut with pizza cutter and let dry for 20 minutes. Boil 8-10 minutes in salted water until tender. Ooooh, the magic bullet. I want to get one to make baby food! there are little green splatters all over my cabinets from my almost-daily green smoothie. which reminds me, i really need to clean them. I wonder if my gluten free flour would work well too.. hmm..
a nice healthy dish for this weekend. thx!